Instant slimming coffee, tea and cocoa rich of nutrition and flavor, produced under GMP, HACCP and Halal standards. TRUSLEN’s formulation are selected and created from high quality raw material and exclusive ingredients giving specific properties to burn the redundant fat, speed up metabolism and detoxify the internal system. 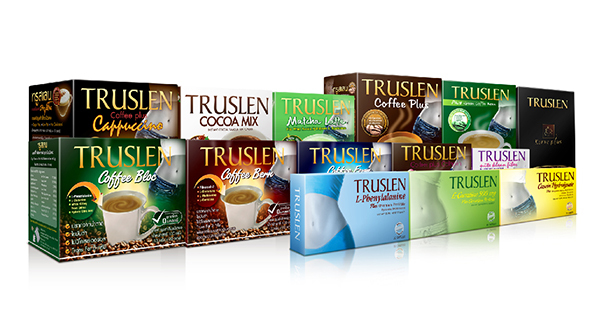 TRUSLEN also provides supplement for body to maintain beauty, healthy and good shape.